Blemish and age defense. Almost every face care serum that concerns both topics has a magic little ingredient on its INCI labels: LHA or Beta-Lipohydroxy Acid, an innovative, lipophilic derivative of salicylic acid. And no wonder, it is so much better than your Clearasil: in combination products that include salicylic acid, the LHA/salicylic acid combination is more effective than salicylic acid alone and still it is less irritating than salicylic acid alone. LHA has an eight-carbon fatty chain connected to the aromatic benzene ring (see picture above). 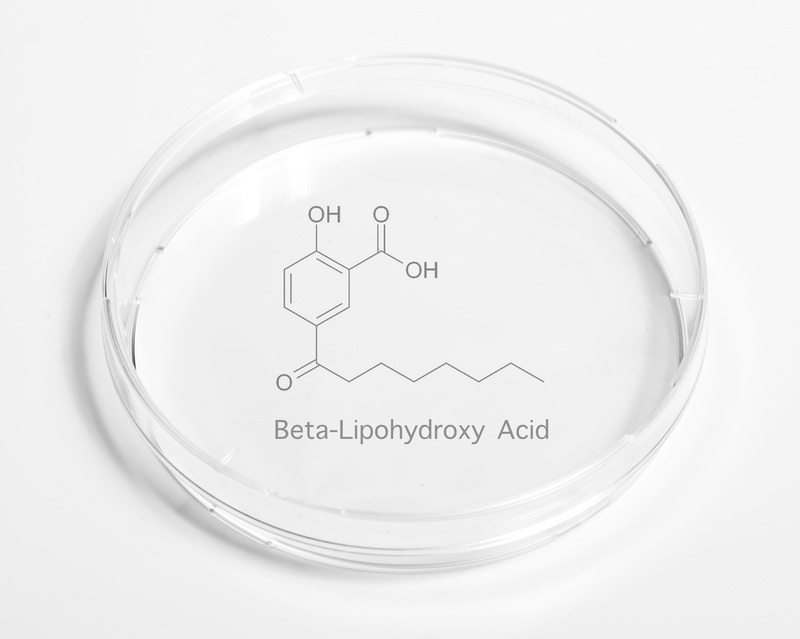 This “attachment” allows for LHA to be more lipophilic than salicylic acid, while penetrating less deeply, which may partially account for its lower irritation potential. According to results of prospective, randomized, double-blind studies presented by Brigitte Dréno, Doctor of Medicine, at the World Congress of Dermatology. “LHA is a keratolytic that prevents the formation of new microcomedones, which are the first lesions of acne. Through that activity it can help to maintain clearing in persons who have responded well to acne treatment but also act synergistically with tretinoin, decreasing the delay to efficacy while allowing a decrease in the frequency of tretinoin application to reduce side effects and improve patient compliance,” she said (read here). LHA has been shown to stimulate renewal of epidermal cells and of the extracellular matrix which makes it a potent anti-aging compound aswell. Anyways, most of the research is done by the company itself (La Roche Posay) and it yet lacks a little research by independent scientist (more here). Best, Ea Birkkam.